Blackmagic Design has released their URSA Mini SSD Recorder, along with the Camera 4.5 Update which adds support for the new recorder that attaches to the back of URSA Mini Pro digital film cameras for recording RAW or ProRes files to SSDs. New support for Blackmagic URSA Mini SSD Recorder. Added RAW & ProRes record capability to SSD Recorder. Added playback capability from SSD Recorder. Added SDI and SSD status LED indicators. Added ability to use 1TB, 2TB and 4TB SSD’s. Added support for URSA Mini SSD Recorder. Added user interface information for SSD Recorder in media status page. Added Program Audio option for prioritising return audio in headset. Fixed bug where audio levels reset after power cycling. 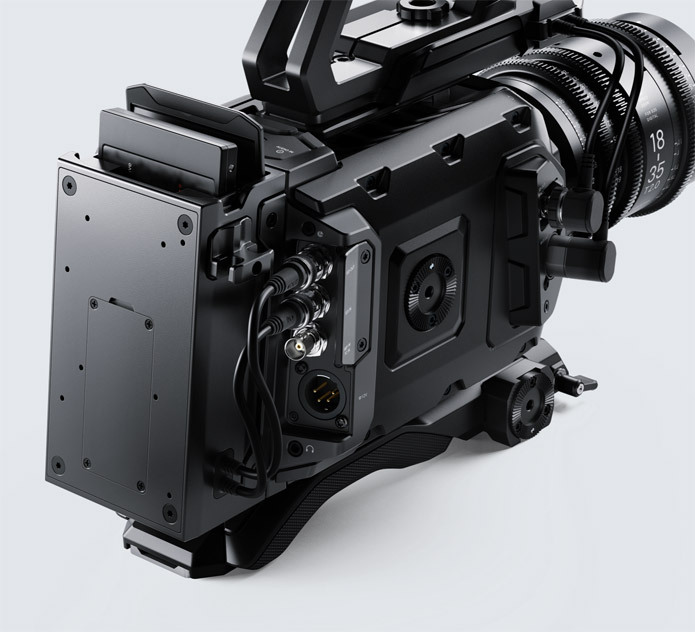 Updated URSA Mini Manual to include SSD Recorder and F Mount instructions.